Home / How to Unlock ZTE MF920 (Megafon MR150-5) is a new 4G pocket WiFi Router? / How to Unlock ZTE MF920 (Megafon MR150-5) is a new 4G pocket WiFi Router? 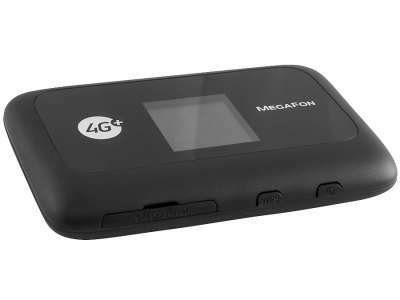 by Sunil Jadhavar on February 20, 2017 in How to Unlock ZTE MF920 (Megafon MR150-5) is a new 4G pocket WiFi Router? ZTE MF920 is a new 4G pocket WiFi router for Russian network provider Magafon. The model number for Magafon is Megafon MR150-5. ZTE MF920 is different from the brother model ZTE MF910. There is not LCD screen and external antenna connector for ZTE MF920. The MF920 is a LTE Category 4 mobile hotspot which could support peak download speed to 150Mbps and upload speed to 50mbps. Factory unlock code of ZTE MF920 is a new 4G pocket WiFi router is available. Means now ZTE MF920 can be unlocked by NCK code only.It is ultra-speed 4G (LTE) uFi (unified WiFi) mobile hotspot device. Change the default SIM card with any another network provider. It will automatically launch the default page (192.168.0.1) of the ZTE MF920. Note : If the router is not opening the default page, then open My Computer >> Virtual CD-ROM and install on your PC. Once webpage opens, login to ZTE MF920 with the admin password. It will redirect you to the unlocking page and will ask you for NCK. Enter the correct unlock code and click OK.
Now your device will be unlocked permanently. Note : If ZTE MF920 does not ask for NCK code as mentioned in the post, let me know via comments. I will check it remotely and unlock it. How To Unlock Telstra Cruise (ZTE T126) SmartPhone? Tags # How to Unlock ZTE MF920 (Megafon MR150-5) is a new 4G pocket WiFi Router? Labels: How to Unlock ZTE MF920 (Megafon MR150-5) is a new 4G pocket WiFi Router?